What happens during school breaks? Extra time on Pinterest. And what happens as a result? Decor day dreams. It’s my last week of summer vacation, and I’ll be heading back to Savannah this Friday to finish my move and put together my bedroom again… which leads me to obsess on ideas for DIY’s and such. I’ve put together my latest pinspiration because even if it never happens (insert shoe closet image here), it’s fun to dream, right!? 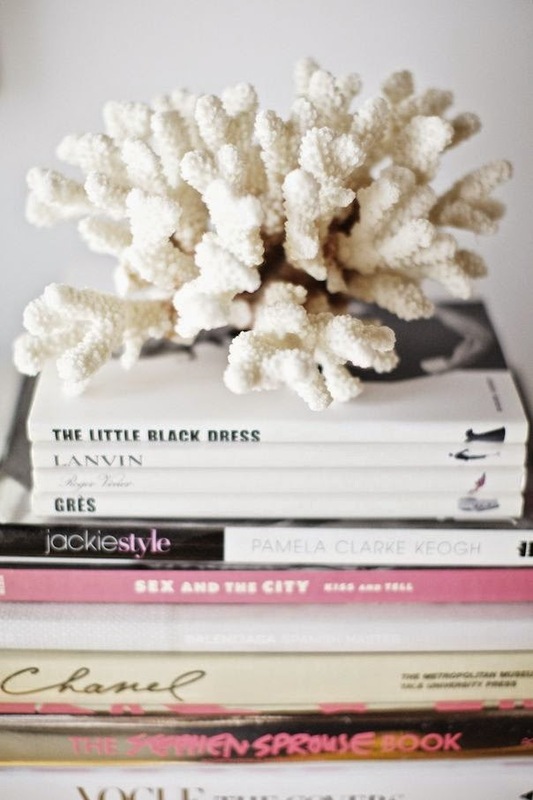 via I love little ocean touches, like above or the gold sea urchins I’ve been seeing everywhere! I recently picked up a pack of three for only $19 at Target (link).. psst I’ve seen some for like $700! Just why? 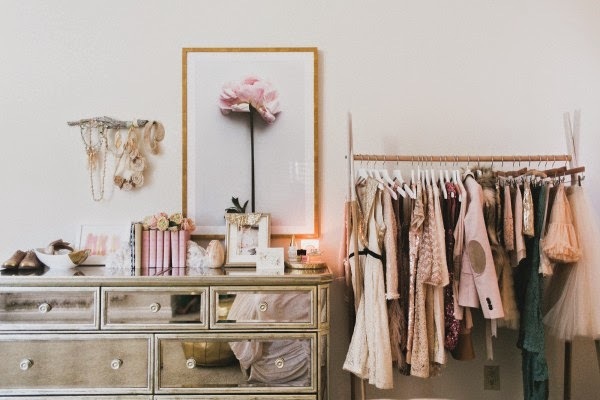 via How dreamy is this clothing rack? The tulle, the sparkle, the pink! To check out more of my pins, click here so we can follow each other! I plan to feature my own room and closet in the near future 🙂 Thanks for stopping by! I love every photo more than the last! Such great inspiration!! 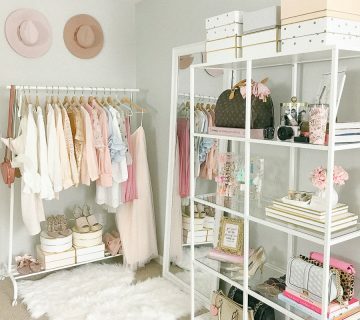 Oh my goodness, rachel's closet is a dream! 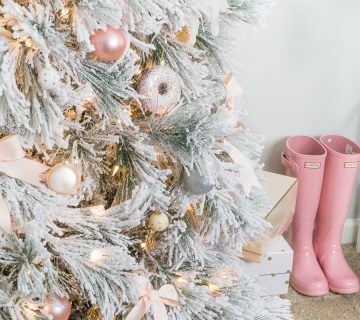 All those hunter boots on the bottom… perfection! Loving all of these. 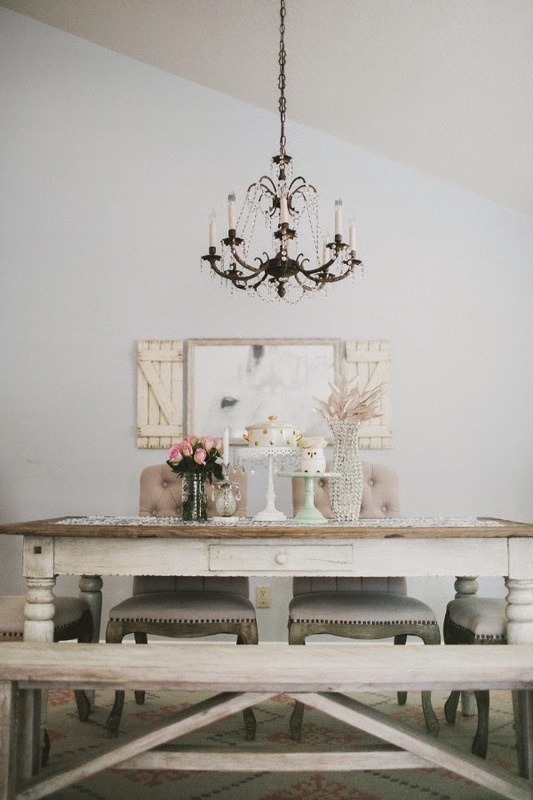 That mirrored dresser in the last picture is stunning!! Isn;t Rachel's closet amazing?! I could not believe how beautiful it was! Definitely on my wish list one day if we ever build!! So gorgeous! I wish I could have a whole wall of shoes! pinterest is soo dangerous! 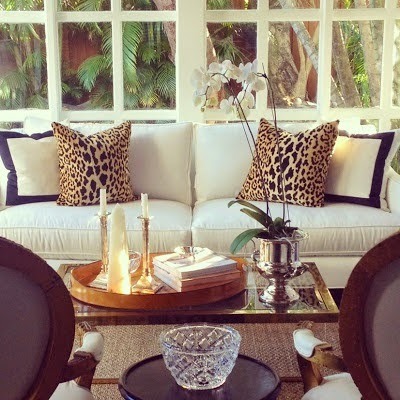 it makes me want to redecorate my home all the time and then spend too much money haha!! These are amazing pics!! I love them so much (especially the shoe closet!!). Great chosen pins! It absolutely happens to me at well- gotta love summer break!! Pinterest and Tumblr are my best buddies right now- that last photo you found is the best I've seen in a long time!! 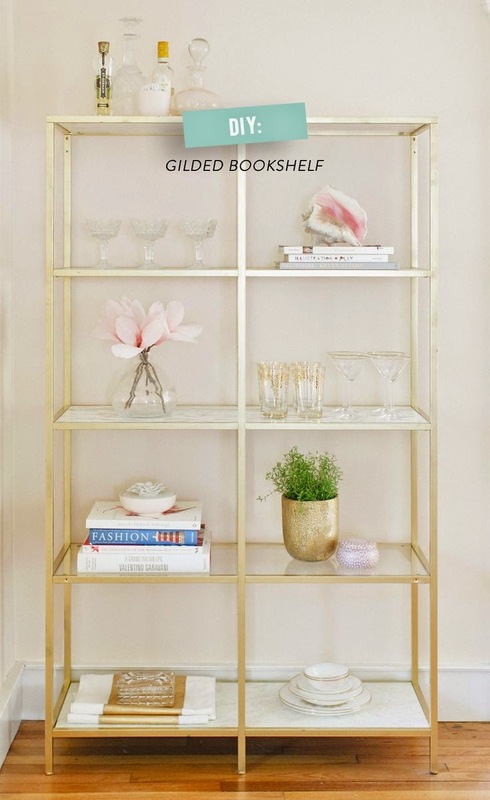 Obsessed with that bookshelf! So pretty! Amanda! I adore these pictures, so inspirational and you've captured everything I love in one post! 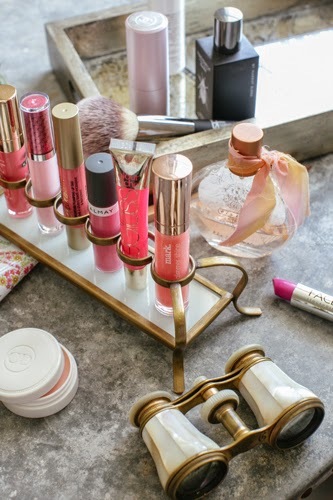 The shoe closet is a dream, I need that lipstick holder, and all the blush accents are so chic! Love this!